Kimberly-Clark Professional has added two new products to its Jackson Safety brand hearing protection line: the H10 and H20 metal detectable disposable and reusable earplugs for use in the food and pharmaceutical processing industries. Earplugs with embedded metal are used by these industries to ensure – via scanning – that earplugs or other forms of PPE for workers can be easily detected during food and pharmaceutical processing. 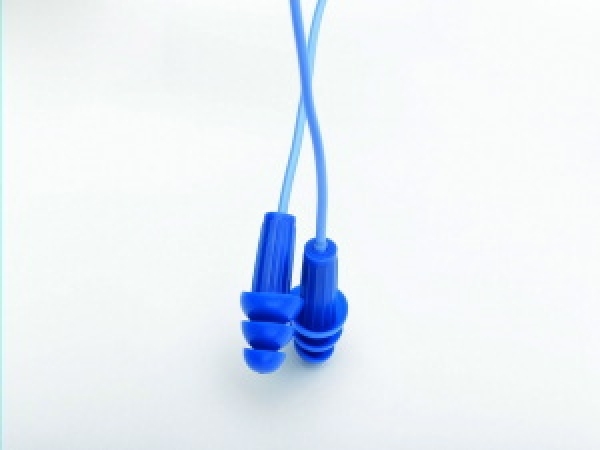 The new earplugs feature a distinctive blue colour for effective compliance monitoring and increased visibility in food and pharmaceutical processing environments. They are individually packaged for hygienic purposes, and are available in universal sizes, the company said.